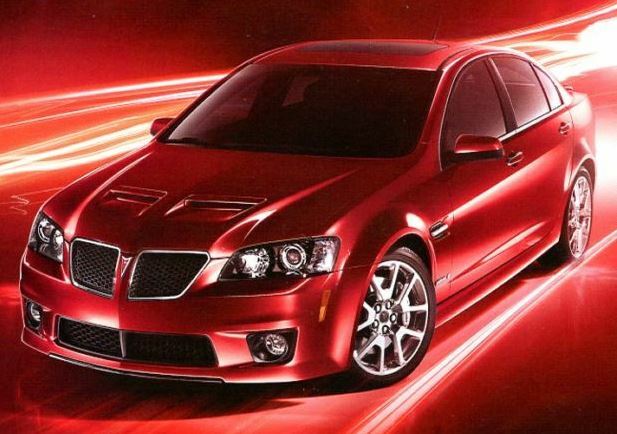 In this edition of Muscle Car Milestones, we’ll take a look at the 2008-2009 Pontiac G8 GT and GXP. For the first time in more than 20 years, Pontiac finally had a true muscle car sedan. 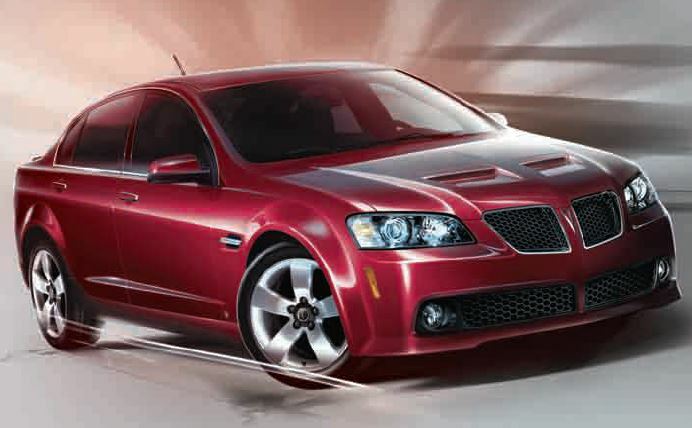 The G8 GXP was also the most powerful muscle car Pontiac ever built. And it couldn’t have come along at a better time. Pontiac definitely needed a shot of adrenaline in its lineup. With the demise of the Firebird and the GTO, the G8 filled the void quite nicely with its aggressive styling and track-ready performance. Just like the last GTO, the G8 was sourced from its Holden cousin from Down Under. The G8 is based on the Zeta platform on which the Holden VE Commodore is built. The exterior is slightly reworked with the signature Pontiac split grille and interior changes include moving the steering column to the left side. The GT certainly looks the part of a muscle car with its twin hood scoops, vented front fenders, and honeycomb grille. Projector beam headlamps give the driver an eagle eye view of the road at night. Five-spoke aluminum wheels add to the GT’s aggressive look and the car’s wheels-at-the-corner design complements the forceful guise the GT projects. Out back are quad polished stainless steel exhaust tips and clear taillights. Under the hood lurks a 6.0-liter V8 producing 361 horsepower and 385 foot pound-feet of torque. This powerplant is mated to a six-speed Hydra-Matic 6L80E automatic transmission. For added excitement, this transmission features Driver Shift Control. This feature allows the transmission to hold a gear longer and shift down faster when more power is needed. Sport mode alters the automatic shift modes to maintain higher torque and greater engine control. For even more control of the driving experience, there is also a manual shift gate which gives the driver complete control. It works by not allowing the transmission to automatically up-shift on its own but also will not allow the engine to exceed red line. With this combination, Motor Trend was able to squeeze out a 0 to 60 time of 5.3 seconds and a quarter mile time of 13.8 seconds at 104 mph. The 2009 GXP is the automotive equivalent of beauty meets beast. A car with road manners and sophistication mixed with a little swagger and an attitude to go along with it. Why all this conceit? Well, if you’re the most powerful car ever to wear the Pontiac crest, you’d be a little arrogant too. Yes, the GXP touts more power than the Pontiac greats of yesteryear such as the 1970 GTO Ram Air IV and the 2002 Trans Am WS6. 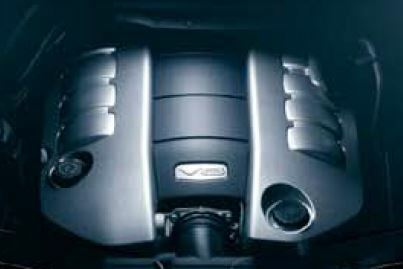 The GXP’s heart beats with a 6.2 liter LS3 V8 sourced from the Chevrolet Corvette. With 415 horsepower and 415 foot pound-feet of torque, it’s easy to see why this performance sedan clocks in with impressive numbers. In their February 2009 issue, Motor Trend was able to flog the GXP with a 0 to 60 time of 4.5 seconds and dash the quarter mile at 13.0 seconds running 109.6 mph. That’s quite impressive for a sedan weighing approximately 4,000 pounds. The GXP has kept its value over the years. Prices on the used car market for clean, low mileage examples range from $30,000 to $40,000. With all its performance characteristics, it’s no wonder the G8 was a popular target for the aftermarket world. Street Legal Performance (SLP) introduced a version of the G8 called the Firehawk. Yep, the name synonymous with one of the baddest Firebirds out there was revived in 2009. This slick sedan spews 500 horsepower courtesy of an SLP TVS positive displacement supercharger, SLP Blackwing cold air induction system, and SLP PowerFlo stainless steel exhaust system. SLP’s G8 boasts a 0 to 60 time of 4.3 seconds and quarter mile times of 12.6 seconds at 115 mph. Lingenfelter Performance Engineering also worked their magic on the G8. Lingenfelter’s recipe for speed starts by taking a GT, installing a Magnuson TVS MP1900 supercharger, intercooler, and cold-air intake system under the hood. Add a Corsa stainless steel cat-back exhaust, CCW wheels, and 19-inch Michelins and, voila, you have a behemoth with 505 horsepower and 482 pound-feet of torque at your beck and call. Car and Driver tested the Lingenfelter G8 and garnered a 0 to 60 time of 4.4 seconds and a quarter mile time of 12.8 seconds. It was the best of times, it was the worst of times. Due to a sagging economy and the increasing threat of bankruptcy, General Motors did the unthinkable and mothballed Pontiac. On April 27, 2009, General Motors announced it was purging Pontiac and that the brand would be eliminated by the end of 2010. The G8 would be the last muscle car for Pontiac. The brand that essentially gave birth to the muscle car and spawned great nameplates such as the GTO, Firebird, and Grand Prix would be relegated to the history books. It truly was a sad day for those loyal to the brand. The shining star in this quagmire was that Pontiac left a legacy that few auto manufacturers will ever achieve. Thank you for the memories and the excitement. You will truly be missed.